The Saskatchewan NDP is calling for a full review of the Saskatchewan Party’s long-standing relationship with SNC-Lavalin. 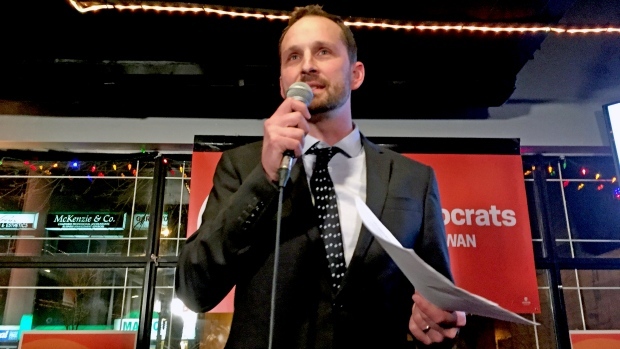 NDP leader Ryan Meili said the province needs to investigate SNC’s business in Saskatchewan, including the Boundary Dam 3 carbon capture project. “Find out everything that went on and make sure that there’s no possibility of any wrongdoing, and if necessary, bring the auditor’s office in, have a really close look at all of Bill Boyd’s activities and all of SNC-Lavalin’s activities,” Meili said. He also renewed calls for a review of conflict of interest laws, calling them “the worst political donation rules in the entire country.” Meili said that over the last decade, the Quebec-based construction and engineering firm has donated nearly $10,000 to the Sask. Party and has been awarded more than $750 billion in contracts. “Looking at what’s happened with SNC nationally and in other parts of the world, in recent years and the checkered history of that minister in particular, Bill Boyd and this government when it comes to the selling of Saskatchewan land or granting of contracts, it’s absolutely worth doing here in Saskatchewan. Canada’s ethics commissioner has agreed to calls from the federal NDP to launch a conflict of interest examination into allegations that the Prime Minister Justin Trudeau or his office attempted to influence the Attorney General in relation to the prosecution of SNC-Lavalin. Last week, the Globe and Mail reported the Prime Minister’s office tried to interfere in a criminal case against the engineering giant. Since then, pressure has been mounting on Trudeau to let his former Attorney General Jody Wilson-Raybould share what she knows about the scandal. Federal Conservative Leader Andrew Scheer also sent a letter to Trudeau demanding he waive solicitor-client privilege in the case. Wilson-Raybould has said she won’t comment because she’s legally bound to keep details of her dealings with government confidential. The Sask. Party is expected to make an announcement Monday afternoon. Deputy Premier Gordon Wyant said the province’s dealings with the company have been transparent and there is no reason to shut out the company from any bids. The Sask Party says its last donation from SNC-Lavalin was around $1,200 in 2013.